The estate is located in Neusiedl am See, a village and district on the north shore of Lake Neusidel, southeast of Vienna. As implied by the Gemischter Satz moniker (though I don’t believe the wine qualifies for the Weiner Gemischter Satz appellation), this is a field blend of co-planted white varieties, including Grüner Veltliner, Brauner Veltliner, Pinot Blanc, Zimttraube, Ochsenauge, Isabellatraube, Neuburger, Traminer, Muskat and Sauvignon Blanc. Planted in 1934, the vines are estate-owned and biodynamically farmed. Vinified as an orange wine, spending 14 days on the skins. Fermented with indigenous yeasts. Matured in old barriques. Unfiltered and unfined, with no added sulphur. 12.5% ABV. Quebec agent: Ward & associés. 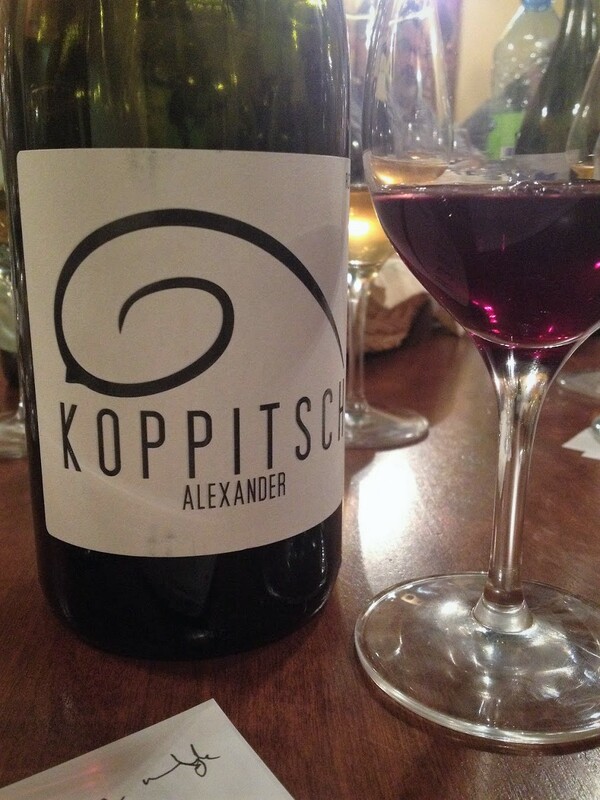 55% Zweigelt, 20% Blaufränkisch, 20% St. Laurent and 5% Syrah from estate-owned, biodyanmically farmed vines. Fermented with indigenous yeasts and matured in large oak barrels and stainless steel tanks. Lightly filtered. Unfined. A tiny amount of sulphur dioxide is added at bottling. Screwcapped. 12% ABV. Quebec agent: Ward & associés. 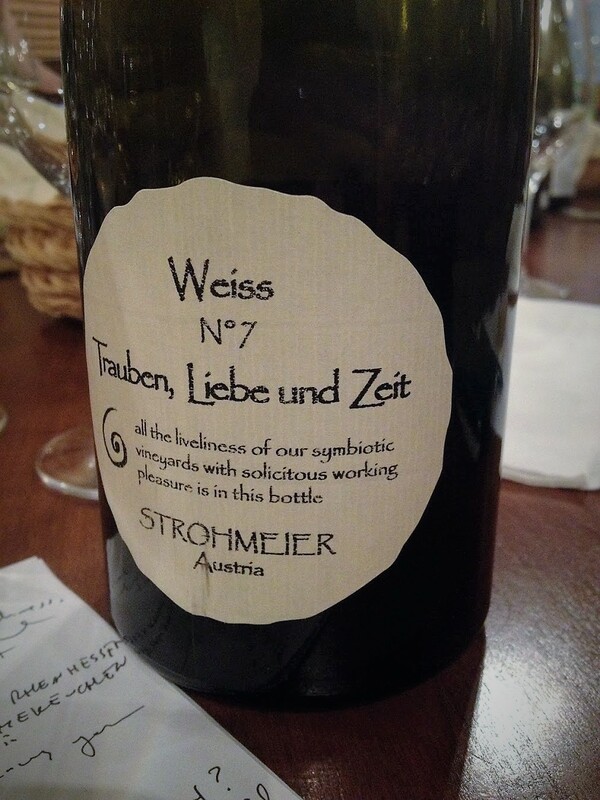 Trauben, Liebe und Zeit means “grapes, love and time” and is the name given to the estate’s line of natural wines. Mainly Pinot Blanc with some Chardonnay from the 2014 and 2015 vintages. The grapes are estate-grown, organically farmed and manually harvested. Fermented with indigenous yeasts. Matured 11 months in neutral 500-litre barrels. No added anything, including sulphur. Unfiltered and unfined. 11.5% ABV. Quebec agent: Ward & associés. 100% biodynamically farmed Riesling sourced from several vineyards around the village of Zöbing. The vines average 15 years old. After gentle pressing, the must was allowed to clarify by settling then transferred to temperature-controlled (22°C) stainless steel tanks for fermentation with indigenous yeasts. Screwcapped. Reducing sugar: 4.1 g/l. 12% ABV. Quebec agent: Avant-Garde. Some background on Baker here. 100% Riesling from vines averaging 30 to 35 years old and grown in the Picone vineyard. Sees only stainless steel until bottling. Screwcapped. Reducing sugar: 15 g/l. 11% ABV. Quebec agent: Rézin. 100% biodynamically and organically farmed Zweigelt. Fermented with indigenous yeasts (thee only addition is a little sulphur at bottling). Matured 12 months in netural oak barrels. Reducing sugar: 4.3 g/l. 13.5% ABV. Screwcapped. Quebec agent: Rézin. 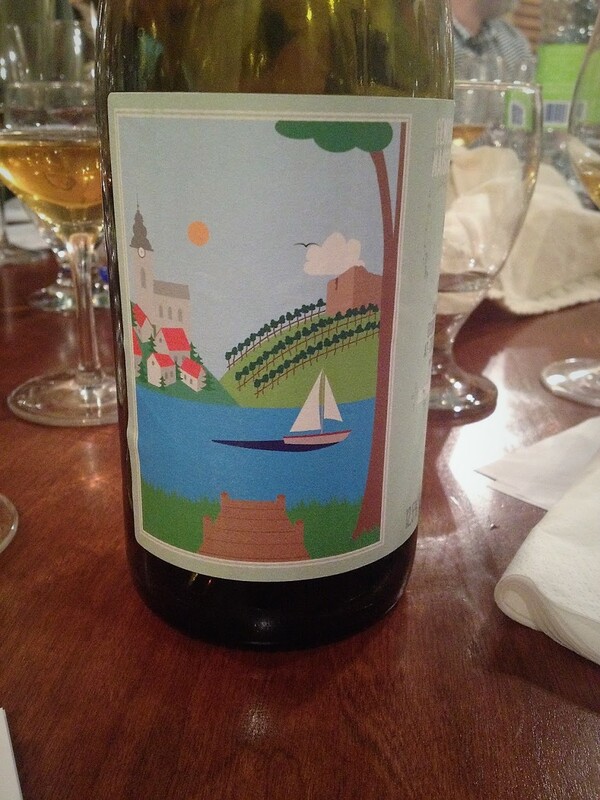 100% Riesling from vines between three and 20 years old. The farming is technically sustainable but close to organic. Harvested in late October. Fermented and matured in stainless steel. 6.9 g/l. 12.5% ABV. Screwcapped. Quebec agent: Les vins Alain Bélanger. Will be posting notes on the COS wines soon. In the meantime, a heads-up on a couple of newly arrived, perfect summer wines that also happen to be in short supply. Interested? Act fast. (Not currently listed on SAQ.com. Reportedly part of an experiment involving a few wines stocked in fairly large quantities exclusively at the Atwater SAQ Sélection store, where you’ll find it in front of the organic wine section.) Am Berg translates as hillside. Ott’s wines are usually organic and biodynamic but this, a cuvée made from grapes grown in the estate’s and nearby vineyards, may be neither. In any case it’s 100% Grüner Veltliner from vines averaging 25 years old. Manually harvested and whole-cluster pressed. Fermented (with selected yeasts) and matured, on its lees, in stainless steel tanks. Screwcapped. Residual sugar (according to the estate): 1.6 g/l. 11.5% ABV. Quebec agent: Avant-Garde. Corvina (60%) and Rondinella (40%) according to the SAQ (while Corvina-dominated, earlier vintages have involved four or five varieties, so you might want to take this info with a grain of salt). Reportedly from young vines. The only winemaking info I’ve been able to find is that this is the estate’s only wine that doesn’t incorporate raisinated grapes. Reducing sugar: 4.8 g/l. 12.5% ABV. Quebec agent: L’Enoteca di Moreno De Marchi.